The project is a sympathetic and intelligently managed change to the building, combined with a restoration aspect which involved the removal of modern structures at ground floor level. The new conservatory is visually light and transparent so that the original structures can be seen through it. Its low profile does not interfere either with the amenity of neighbouring properties or with the visual clarity of the host buildings. 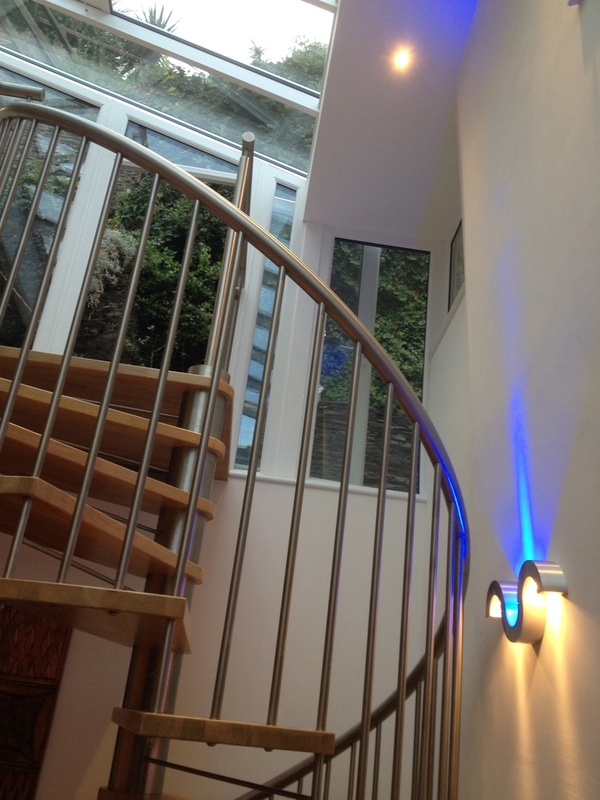 Improved access to the rear garden by removing the hazardous modern steep external steps and replacing them with a new internal spiral stairway. The materials are contemporary and simple. A glass construction conservatory roof with minimal visual framing, echoes the simplicity of the adjacent tilted shallow slate roof of the annexe building. Grey polyester powder-coated aluminium framing visible to the east and west sides of the conservatory blends with the glass.